Middle aged fat kid but still reasonably aggressive. I was drawn to this ski because of all the hype. Just about every "best new skis of the year" review I read about "East Coast freeride skis" had the Brahma in the number 1 or 2 spot and it got rave reviews from testers. More importantly, it had everything I was looking for in a versatile ski for the conditions we get around here: Traditional camber underfoot for the grip you need on hardpack and ice and a little bit of rocker in the tip to help get on top of "variable conditions" ranging from rock hard death cookies to spring slop. They threw in some tail rocker as well...I didn't know that I also wanted that. I found a local shop that was blowing out this season's stock and picked them up on the cheap. At this point I've got 8 days on them and I have run them through some pretty challenging conditions (slush, death cookies, hockey rink ice) as well as some really enjoyable conditions including corn and the fantastic packed powder that this last storm left us. I am really impressed with the performance of this ski. It is basically a fat GS ski with rocker. It sports two sheets of titanium making it track on hardpack and ice like a freight train. Much like a race ski, when it is up on edge it will carve according to the skier's ability. There is no speed limit and, at the speeds that I'm able to handle, there is absolutely no chatter. The really cool thing about this ski is that it isn't all stuffy and technical like a full on race ski. It has a forgiving side. On race skis, you have to commit to the arc and ride it until you have built enough energy to get the tails to release before it will cleanly roll over to the next turn. On the Brahma's it is possible to enjoy the turn until your legs start to whine and then simply rotate through the lead change with a little bit of a skid. That's the rocker talkin'. It is the best of both worlds: you get the grip of a race ski with the playfulness of a freeride ski. On fresh corduroy it is impossible to not grin from ear to ear while digging trenches. I fully expected the ski to be fun on hard stuff and groomers. 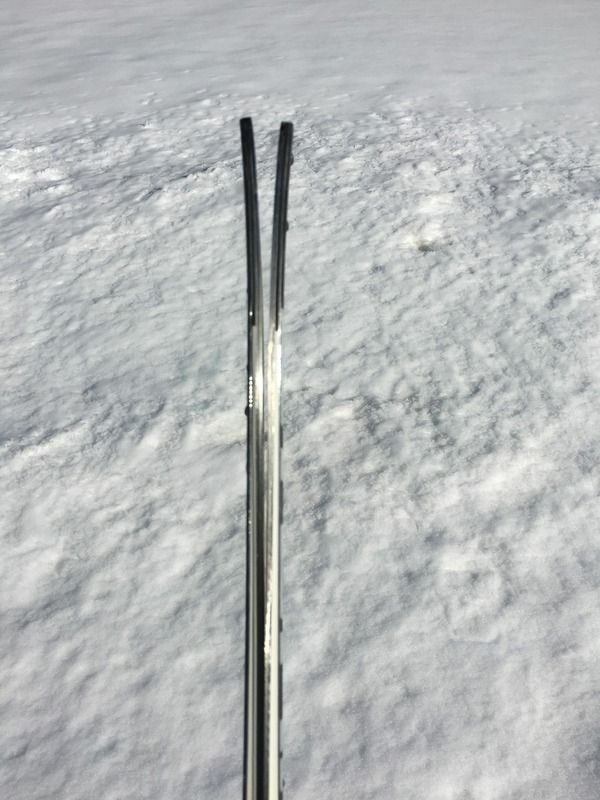 What I did not expect was how enjoyable it makes skiing through crud, and broken junk. Because the ski is so damp (the titanium talkin') it doesn't get pushed around very easily. If turns are skidded with the ski more flat than on edge, it kinda goes into this Cadillac mode where it just smooths out the bumps while remaining composed. 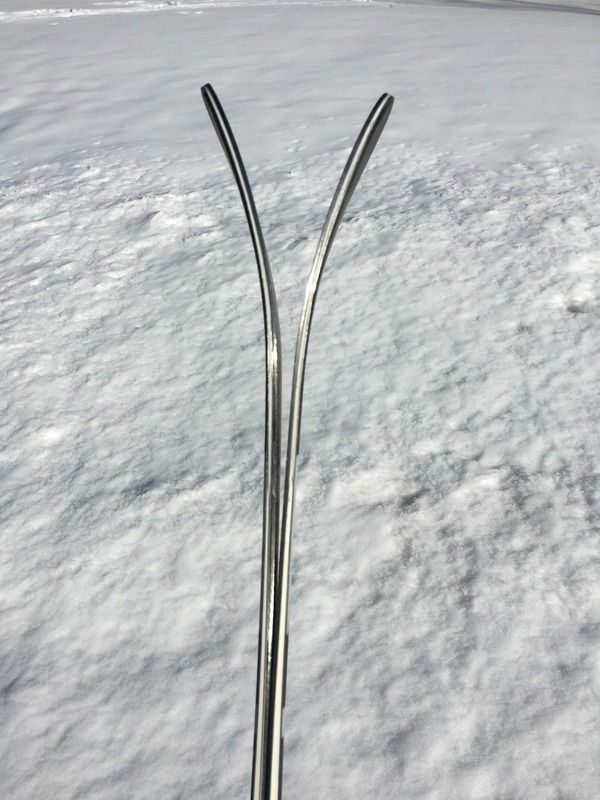 Tip rocker helps with soft variable conditions like slush and corn but it does not get up on top as well as a ski with a bit more girth. I sort of have a ski buying problem so a "quiver of one" is not a concept that computes for me. However, for those times when I can't haul 3 pairs of skis with me, this is going to be the one that I choose.